All week my weight's been going up and down by 100g, in spite of sticking to my plans in both the training and nutrition departments. So this morning when I stepped on the scales, it was no surprise to find myself exactly where I was last Monday....or am I? Mid-week I realised that my work pants were sitting quite loosely on my hips (a nice change from being tight up around my waist and feeling like they're strangling me in several places!). I can see in the mirror that I've leaned out a bit around the waist and my belly is flatter. I've been feeling GREAT and have pushed training up a notch - even though I'm still not at my best in terms of cardio, there's a major improvement on where I was three weeks ago. So, do I feel as though I've failed? Do I feel fat? Did I kick the scales across the room and go eat a plateful of buttered toast to console myself? Nuh-uh. I'm still feeling good and I'm ready for another great week (in spite of having slept in and missed training this morning. Impromptu rest day, coming up!). My scales told me that my weight hasn't changed this week. That's all. I took that piece of data and put it together with the evidence of the pants test and my own eyes, plus the sum of what I achieved on the training and nutrition fronts last week. And those things add up to the fact that everything is going exactly as it should, and a loss is on the way. On with the week. Giddyup! Think you've had a stellar week kiddo, remember old Scaley aint as smart as our pants-o-meter cue - but will catch up if you jump up and down on him a few times. That happens to everyone. You know the facts... water fluctuations, fluid retention from DOMS, hormones, all of that can affect your 'scale' weight. 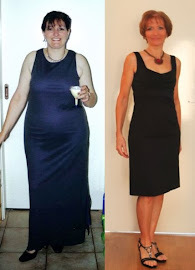 Important thing is to focus on the process,plus do you need to lose weight? Maybe you are good as you are.